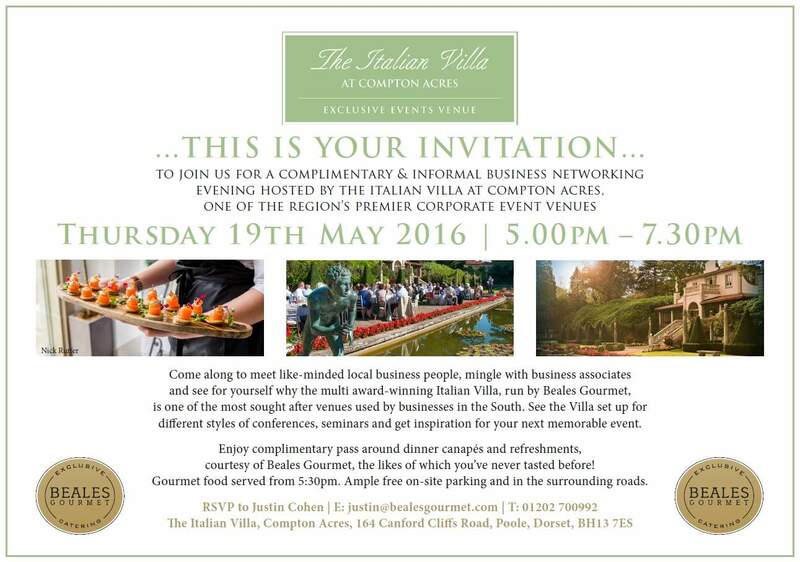 We are excited to be hosting our 3rd annual Corporate event venue open evening on Thursday 19th May 2016 from 5pm to 7:30pm at The Italian Villa in Poole, Dorset. Not only will you be able to network with some of the best and brightest businesses locally, but also have the opportunity to see The Italian Villa set up for a variety of different business-style events and seminars. Please email Justin Cohen, our Commercial Manager, or call him on 01202 700992 to reserve your space! **update: over 210 local business people already registered to attend!